Some molds are known human pathogens that can make you quite sick. That’s why it’s important to know the symptoms of mold mycotoxins. Just as important is how to heal if you’ve been exposed. Fungi produce toxic substances that can cause intense health effects, often with multiple or vague symptoms. 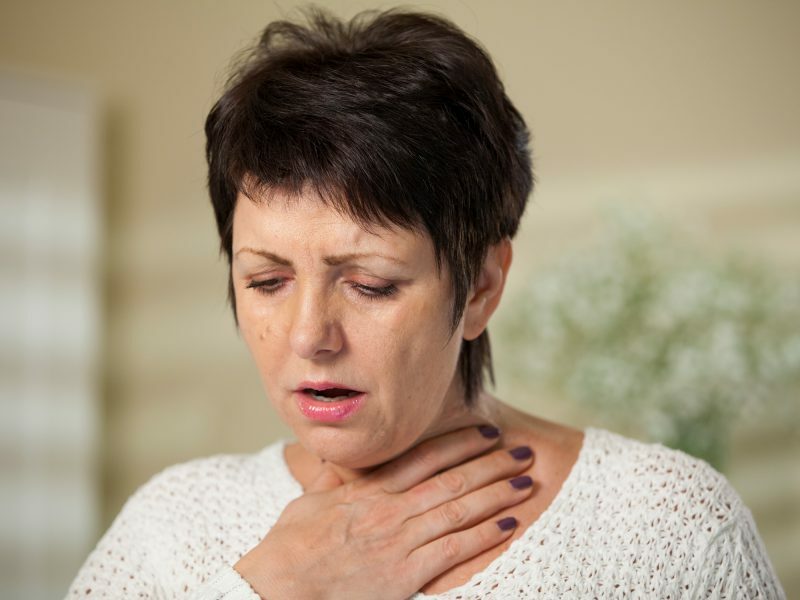 More common mycotoxin symptoms include chronic coughing, wheezing, sinus congestion, flu-like symptoms, headaches, or fatigue. People with symptoms apparently due to long-term exposure to molds call this “toxic mold syndrome.” This is similar to the illness now called chronic inflammatory response syndrome (CIRS), thought to be caused from biotoxins (including mycotoxins) in combination with genetic susceptibility to these toxins. Toxic mold syndrome is still controversial. It is thought to be caused by exposure to molds commonly found indoors such as Stachybotrys Chartarum (Black Mold), Cladosporium, Aspergillus, Penicillium, Alternaria and their mycotoxins, such as Ochratoxin A. The scientific literature however, points to the difficulty in determining molds as the cause of such symptoms. That’s because molds may be present, but without producing any toxin. Alternatively, mycotoxins may be detected, but the levels detected do not correlate with disease symptoms. Ochratoxin A, for example, is one of the more abundant food-contaminating mycotoxins, but also frequently contaminates water-damaged buildings and heating ducts. Grains (wheat, barley, rye), peanuts, pork and licorice can be contaminated with it. Other dried foods have been implicated too: corn, cottonseed, some cheeses, oats, rice, pistachios, Brazil nuts, chilis, oil seeds, spices, dried fruits, coffee, cocoa and beans. Worse, the scientific literature shows us that Ochratoxin A is potentially carcinogenic (causes cancer), nephrotoxic (damages the kidneys) and neurotoxic (damages the brain and nerves). And we know that animals exposed to ochratoxin A have the greatest concentration of it in their kidneys, liver, muscle, body fat, adrenal gland, skin, heart, stomach lining and even bones. Therefore, rather than needing to identify the mold through testing, its best just to remove mold from your environment if you think you have toxic mold syndrome. Then you’ll need to heal your body. It is thought that removing mold can cause mycotoxins to be released and spread further. If you already suffer with symptoms, consider hiring a professional to remove the mold so that the mycotoxins are contained. If you do not suffer with symptoms, then you can wear a breathing mask while you remove mold from hard surfaces by scrubbing it with a bleach solution of no more than one cup of bleach per one gallon of water. Plan to discard ceiling tiles, drywall, carpet and any porous material with mold. The scientific literature supports treatments such as glutathione (injections), antioxidants, antifungals, and sequestering agents such as Cholestyramine (see below), charcoal, clay and chlorella, antioxidants, probiotics, and induced sweating. Doctors have published their experience in The Townsend Letter regarding other intestinal binders for mycotoxins. These include bentonite clay, glucomannan, zeolite, diatomaceous earth, and activated charcoal. As mentioned, a known specific treatment strategy for Ochratoxin A is cholestyramine. This prescription medicine is a safe bile-acid-binding resin to reduce the chances of this toxin re-entering your body from stool being excreted (also call enterohepatic recirculation). Animals fed ochratoxin A in the diet plus cholestyramine significantly shifted this toxin from their blood and urine to their stool to be eliminated. You’ll need to avoid constipation during this treatment. Miralax (Polyethylene Glycol) is safe, over the counter, and can be used to keep you having 2-3 bowel movements daily. Detoxify your body from mold toxins. Common supplements used for this are liposomal glutathione (a way to deliver its amino acid components L-cysteine, L-glutamic acid, and glycine), taurine, milk thistle, n-acetylcysteine, and alpha lipoid acid. Far infrared saunas can release stored toxins from fat cells. Air purifiers can remove toxic mold spores from the air if you feel you have ongoing exposure.